A decadehas passed since the city of Pittsburgh was reduced to ash. While therest of the world has moved on, losing itself inthe noise of a media-glutted future, survivor John DominicBlaxtonremains obsessed with the past. Grieving for his wife and unborn child who perished in the blast, Dominicrelives hislost life by immersing inthe Archive a fully interactive digitalreconstruction of Pittsburgh, accessible to anyonewho wants to visit the places they remember and the people they loved. Dominic investigates deaths recorded in the Archive to help close cases long since grown cold, but when he discovers glitches in the code surrounding a crime scene the body of a beautiful woman abandoned in a muddy park that he's convinced someone tried to delete from the Archive his cycle of grief is shattered. With nothingleft to lose, Dominic tracks the murder through a web of deceit that takes himfrom the darkest corners of the Archive to theruins of the city itself, leading him into the heart of a nightmare more horrific than anything he couldhave imagined. 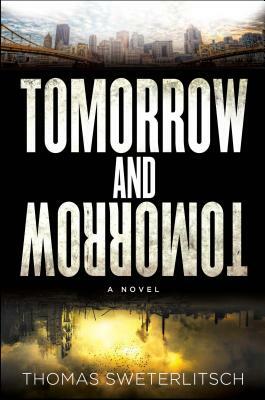 Thomas Sweterlitschis the author ofTomorrow and Tomorrow, which has been sold in four countries and optioned for film by Sony. He hasa master s degree in literary and cultural theory from Carnegie MellonUniversity. He lives in Pittsburgh withhis wife anddaughter."